Transferwise. Babylon Health. Netflix. In the last fifteen years, more than 250 startups have reached billion-dollar valuations. From finance to media to travel, new companies are tearing up the rule books of industry after industry. This won’t be news to you though. It’s certainly not news to the CEOs of incumbents in the industries being flipped by companies younger, nimbler and hungrier than theirs. These are the firms proudly and publicly spending millions (even billions) on digital transformations just to keep pace with these new entrants. But despite the levels of investment, competing in this fast moving market isn’t easy. Through digital transformations, companies set out to reimagine themselves. To become more digital, nimbler, leaner. Which is absolutely essential for companies to remain competitive and to meet the growing expectations of their customers. But transformations frequently fall short of the promised vision. Sure, you can expect to see improvements from transformation but it’s likely to be incremental. The likelihood of true reinvention or a shift to a new business model is low due to the inherent difficulty in changing the well known course of big, established companies. This is where the idea of Dual Transformation comes in which recommends that CEOs need to simultaneously transform their business of today while building their business of tomorrow. Considering them two separate tracks of activity, each with its own and different approach. As many will know, transforming the business of today is tough but many companies are now making progress. The second part is even harder. Innovation labs, incubators and growing internal capability are all attempts to build the business of tomorrow. But so many fail in their ambition to build that future business. People might think that it’s legacy technology, legacy culture or organisation models that make it difficult. Others might think that the cadence of market reporting and how this ties to personal incentives might be the driver. Others believe it’s the way projects are funded, governed and how resources are allocated. In truth it’s all of these things. But another truth is that none of these are going to change any time soon. Meanwhile the competitive market isn’t waiting, so CEOs need another way to pursue their business of tomorrow while continuing to invest in a core transformation to extend the life of their current business model. Centrica developed Hive to respond to the smart home trend. So obviously this isn’t a new idea. But just like transformation, spinning out by itself isn’t enough either. While spinning out helps remove many of the constraints that hinder innovation in the core business, launching new initiatives is risky, so what’s required is an approach for increasing the odds of success for the new venture. 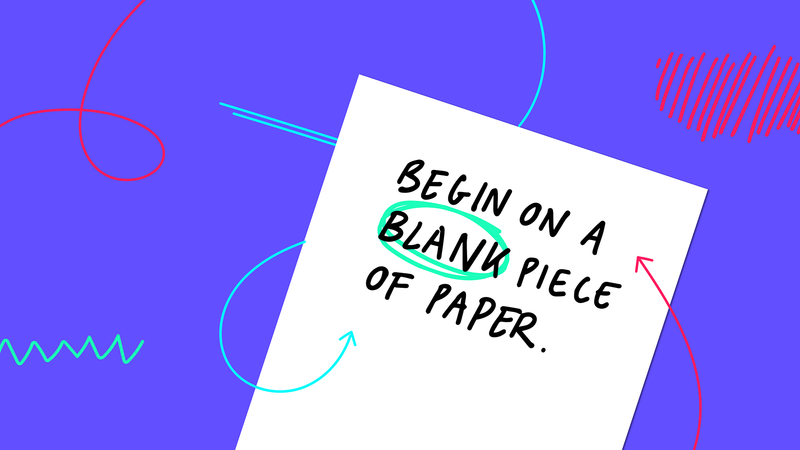 Spin outs offer a blank slate for a whole new way of working. And the Beta Business model describes how to take full advantage of that blank slate. The model is built around a single, simple idea - that being successful today requires companies to be able to experiment more than their competition which as a result enables them to learn faster and grow quicker. It’s an idea well understood at the most successful companies of recent years. Leaders at Amazon, Google and Facebook all credit their success to their ability to “have more bats per unit of time” ie. by being able to run more experiments than their peers and in doing so, learn quicker. The Beta Business model is built around a series of ideas from different fields; from the world of startups and software, from design and innovation and also from management science and business academia. While none of the individual ideas are new, the model brings them together in an effective way to give leaders looking to build their future business a playbook to work from. Discovery - The goal here is to reduce uncertainty. Customer discovery should start at the same time as business case development and the two should inform one another. Learning should start at this stage - what can be tested without building anything? And how does this inform the assumptions in the business case? Getting to market - The goal here is to build just enough to start learning with customers. This applies not just to the service itself but also the broader operation. Premature scaling distracts and slows things down. More important is to get into learning loops and using the learnings to prioritise what’s next. Finding proof - The goal here is to find what the startup world calls “Product Market Fit”. Too often people slavishly deliver a roadmap of features. Instead the business needs to be prepared to change anything required to prove enough customers want the new service and can’t do without it. Growth - The goal here is to establish a highly iterative and data-led approach to growth. One that’s tightly interwoven with ongoing product development. Quite simply the traditional approach to marketing doesn’t work for early stage ventures so a rapid, iterative approach is required instead to find the messaging, channels and journeys that stick. The right funding and setup - how a new venture is set up plays a huge role in how it is then able to operate. What’s required is an investment in an opportunity and a team rather than a fixed solution. Stakeholders need to understand the importance of coaching and giving the team true autonomy, rather than acting like a product manager or customer. Enabling culture, team and org models - comfort with ambiguity, collaboration and an ambition to be bold are all required. As is the right combination of people from within the parent org and outside - challenging the norms requires some challenging thinking. Meanwhile truly multidisciplinary teams organised around customer journeys break through the silos too often found in large businesses. Empowering relationship with the mothership - the parent company can act like rocket fuel or like shackles. How the Beta Business reports and is governed is critical in determining which. Also, while the assets of the parent can act as an unfair advantage, they should only be utilised once the mindset of a new entrant has been used to determine the right model. These four stages and the enablers together make up the Beta Business model. A playbook for leaders looking to build their business of tomorrow. When combined with the blank slate and freedom from organisational constraints that a spin out offers it’s a powerful guide for how to build businesses that launch faster and grow quicker than the competition. What happens when the Beta Business is successful? Once you’ve got evidence your Beta Business works, that’s where the real head-scratching starts. Should it stay separate, and grow independently from the main business? Should you migrate customers over from one business to the other? Should you bring the business back in? Or just adopt technology and processes in the core business? The answer to each of these questions will be dependent on the case. But what isn’t is the need for companies to adopt a dual approach to making their company future fit. Core transformations are desperately needed but they’re unlikely to be enough so at the same time companies need to pursue new business models and the Beta Business model is one that helps accelerate that journey. We’ve developed the Beta Business model through experience over recent years - through mistakes made and hard lessons learnt, through direct experience and observation. The playbook will undoubtedly need to continue to evolve and that’s our intention. There’s a lot of detail that sits underneath the model which we’re refining with Beta Businesses we’re currently working on. We will continue to share further iterations of the model in the future through writing and events and hope that it can be used more broadly by those looking to build their business of tomorrow. If you’re already on a journey to build your future business, why not drop us a line to find out how through this model we can help you build a bolder future.